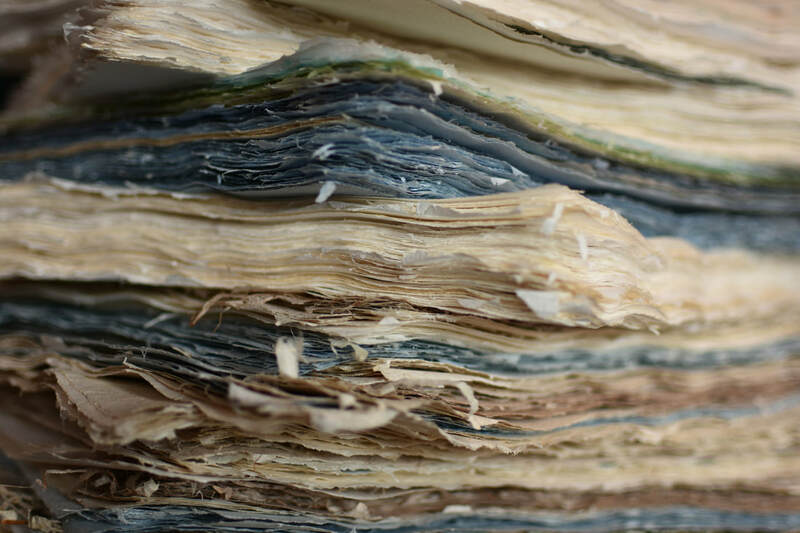 Beautiful handmade paper from HazelTree Press & Paper. These classic laid-line and wove papers are handcrafted in the centuries-old European tradition. ​Each sheet is individually formed, using the finest tools and acid-free archival pulp, making full use of the character, colours, textures and subtleties inherent in the hand paper-making process. The inventive blends of local and exotic plant and flower fibers create unique and environmentally friendly papers. We make several types of paper as regular stock, but also do custom work and shorter runs of special papers. Various types such as laid line paper, handmade flower paper, cotton rag paper, bookbinding supplies, handmade lamps, print-making papers, wedding invitations, floral and flower lamps and more! A locally owned and operated business making specialty handmade paper in Prince Edward Island Canada. Contact us to find out how we can help provide you with custom handmade paper!